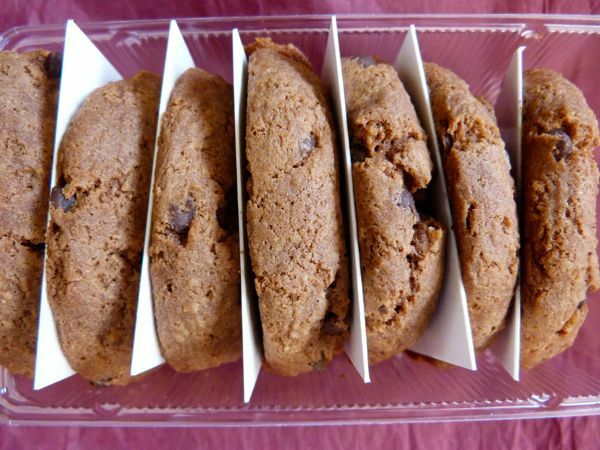 Today was Day #4 of Chocolate and Gluten Free Cookie Theme Week. 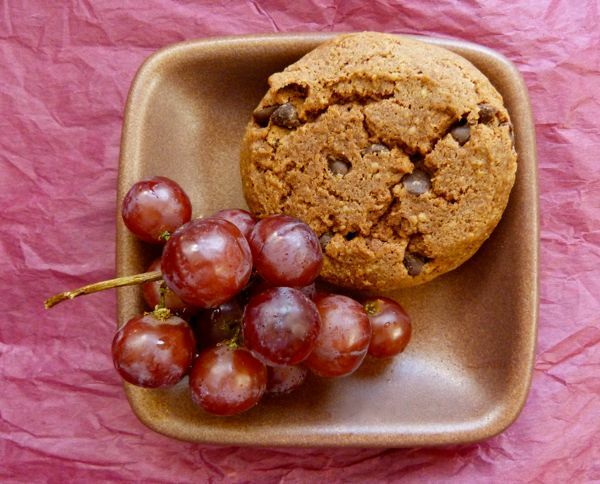 When baking with gluten free flours, applesauce, mashed banana, pumpkin, jam with pectin, or xanthan gum, can help approximate the texture of conventionally baked cookies, and help bind ingredients together. Today's Chocolate Chip, and 2-Chocolates Chip (chocolate and white chocolate chips), "Sonoma Style" Cookies from WholeVine Products (Santa Rosa, CA) incorporated applesauce and xanthan gum in their gluten free cookies. 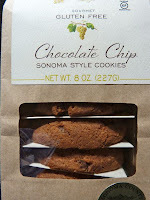 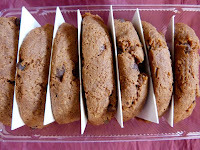 However, what made these cookies special was the addition of Sauvignon Blanc grape seed, and grade seed skin flours. 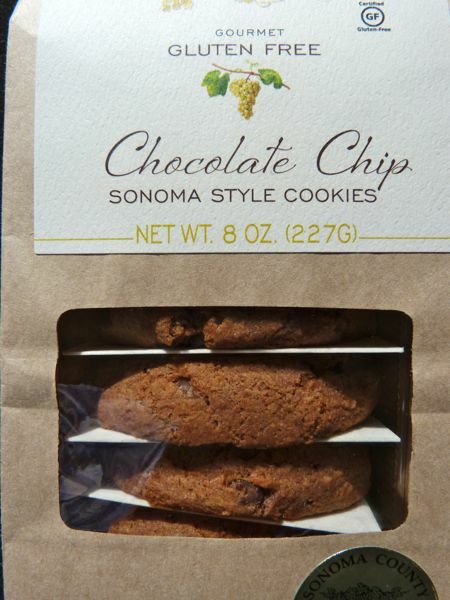 (The company also uses other varietal grapes.) 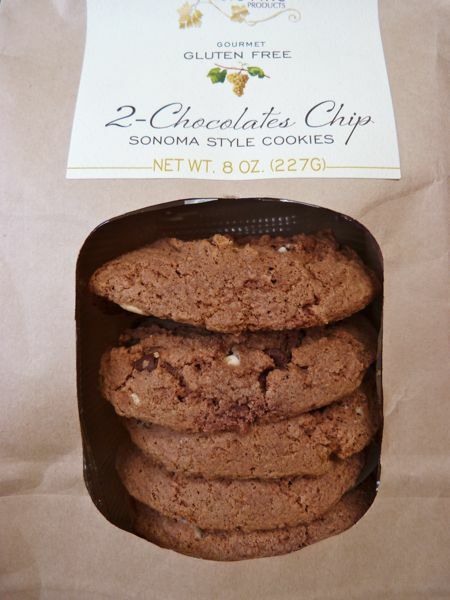 According to the company -- based in Sonoma County, home of many fine wineries -- the unique, grape-based flours came from sustainably farmed coastal vineyards, via sister company Jackson Family Wines. Hats off to creative use of vineyard ingredients that add fiber and some nutritional value to baked goods like this.